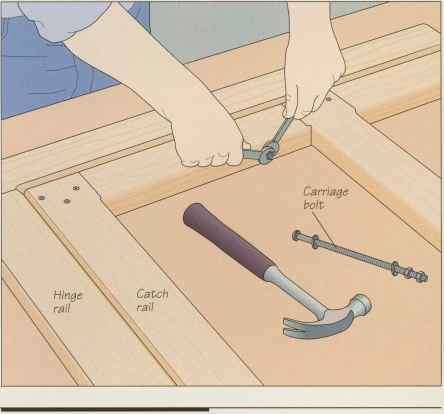 Set the two leg assemblies on a work surface as shown, with the smaller one nested inside the larger one, then clamp them to the table. Mark the holes for the bolts on both assemblies, 18 inches from the top of the hinge rail. Fit a drill with a %6-inch bit, then bore the hole, keeping the bit perfectly perpendicular to the edge. It helps to have an assistant sight the bit to keep it level. Drill as deep as you can, then finish from the other side. 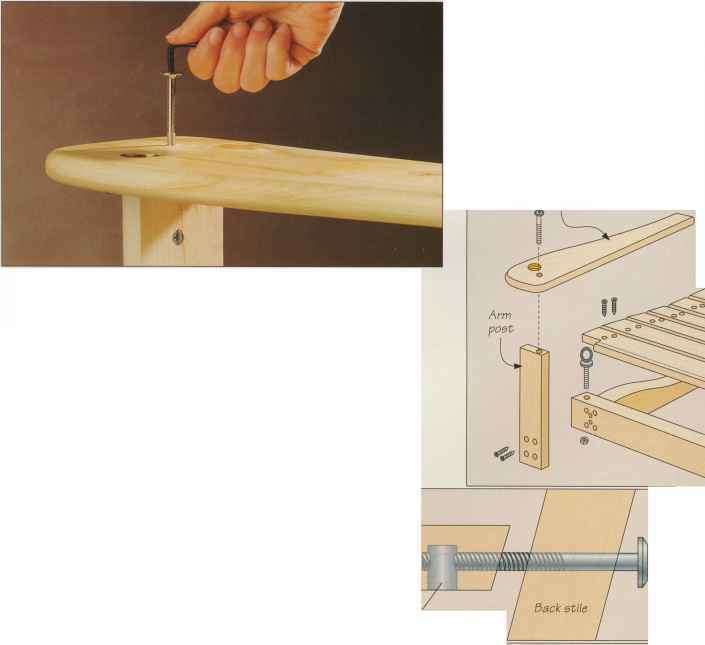 Tap the carriage bolts through the legs with a hammer, then slide on a washer. Hand tighten two nuts, then fit a wrench on both nuts and hold the inner one in place while tightening the outer one against it (right).